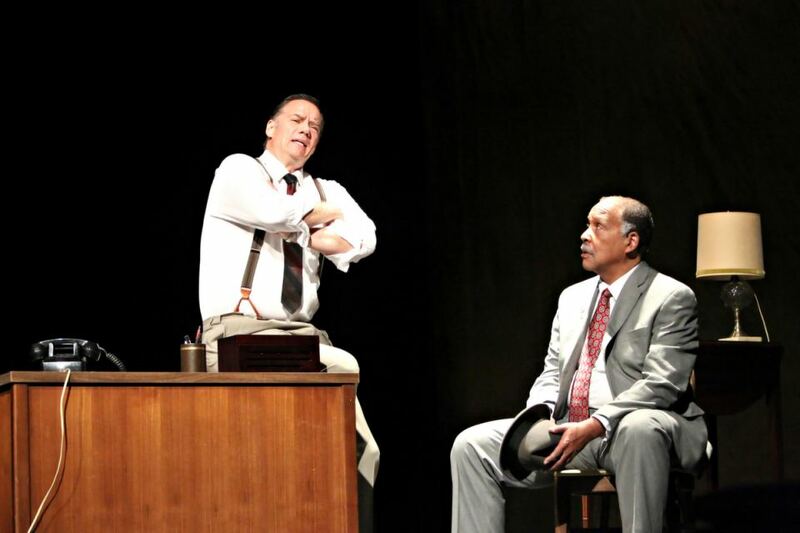 If you only saw the movie “Driving Miss Daisy” – as good as it was – you might not know how funny the Pulitzer Prize play it’s based on actually is. Now’s your chance. 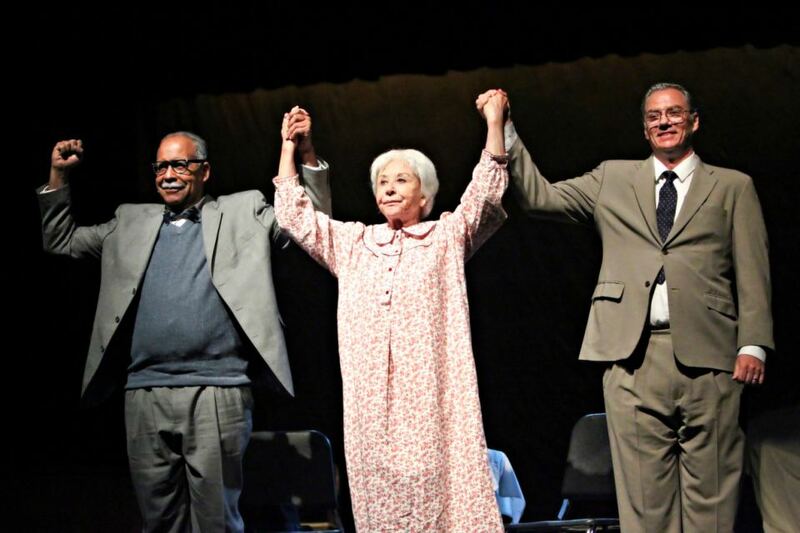 As part of Palustris the resident professional company at Sandhills Community College has brought that play to life on the stage here. And, as you might expect, it’s a daisy. 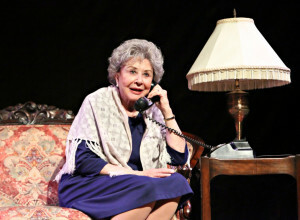 Michael Learned – well known from her Emmy-winning years starring in “The Waltons” plays the aged and aging title role with Lange E. Nichols as her black driver and later best friend. What chemistry there is between such accomplished actors! 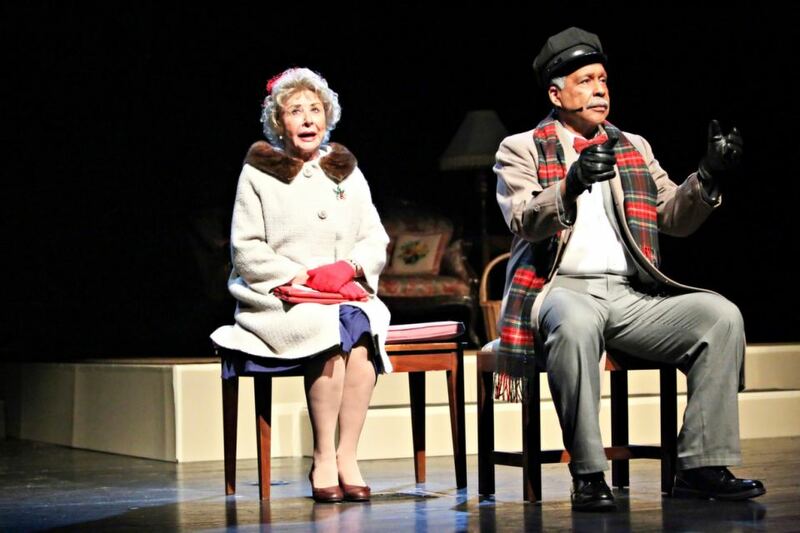 At a dress rehearsal Wednesday night – with fewer than a handful of people watching – their work brought laughter, tears and thought in the way only live theater can. You’ll see why Alfred Uhry’s play endures. 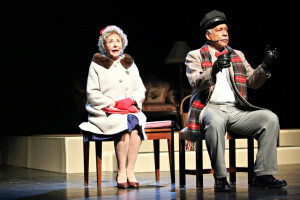 It’s the sort of simple show – hardly more than a couple of chairs needed for its set – that becomes a classic. Thanks to actor Morgan Sills – who grew up here before heading for Broadway – we now have a chance for real theater to find life in the Sandhills. 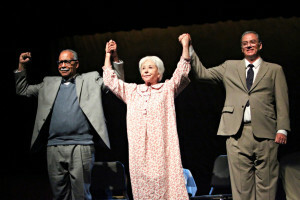 His Judson Theatre (www.judsontheatre.com) can use your support, and the best way to give it is also the most fun. Buy a ticket and see this show. You’ll laugh, you’ll tear up, and you’ll feel like you’ve known these characters all your life. Something happens with live theater that never happens watching a big screen whether at the movies or at home. You change. Following an evening with a great play, you’re never the same person when you leave. Somehow live theater changes the air, as it has for thousands of years. “Driving Miss Daisy” is funny, moving, challenging, and transporting. Its lessons are real enough without being preachy. There are moments you’ll never forget, things these characters say you’ll always remember. 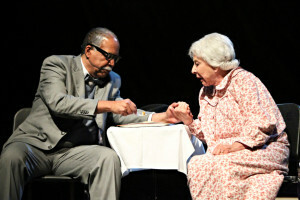 In one scene, as Hoke is driving Daisy through Alabama, he tells her he needs to stop the car for relief. Colored people can’t use restrooms at gas stations. She objects. Another time he asks his elderly Jewish employer how she knows what he sees unless she looks out of his eyes. That’s what we do, through Uhry’s masterly weaving of those Atlanta times. For people who grew up in the south, the kindness of blacks to whites despite the unkindness of their culture is familiar. The enemy is always the same: ignorance, fear and violence. 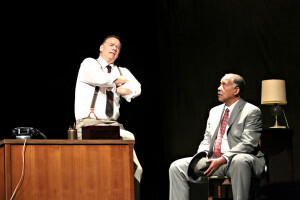 Michael Edward Hodge adeptly delivers the supporting role of Daisy’s son, and the theater’s artistic director Daniel Haley so smoothly mounts this production you’ll never see the seams.